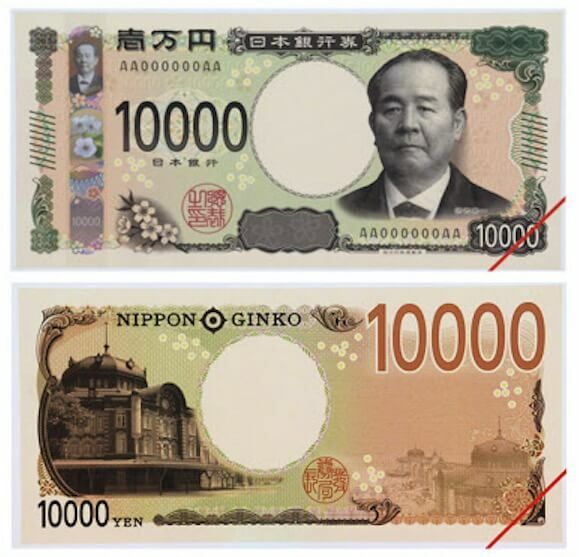 The portrait of new ¥10,000 bill will be of Eiichi Shibusawa (1840-1931), a banker and business leader so called “the father of Japanese capitalism”. He played a key role in modernizing the Japanese economy. He created over 500 incorporated companies in his lifetime. The backside of the bill is an image of Tokyo station. 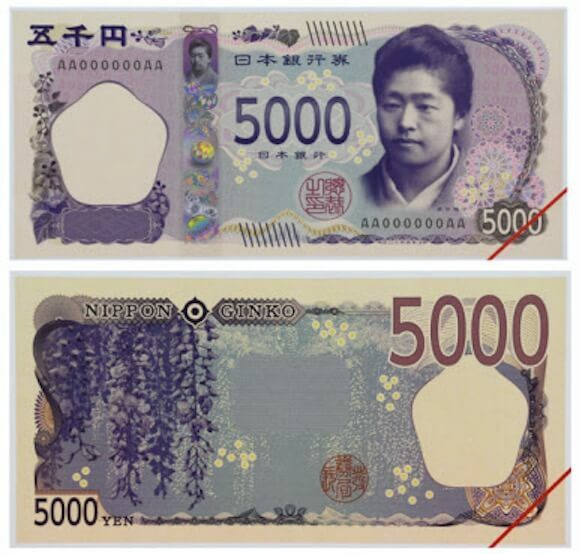 The portrait on the new ¥5,000 bill will be of Umeko Tsuda (1864-1929), the founder of Tsuda University in Tokyo. She studied in the U.S. and became a pioneer in the education of Japanese women in early 20th Century. The backside of the bill is an image of wisteria flowers. 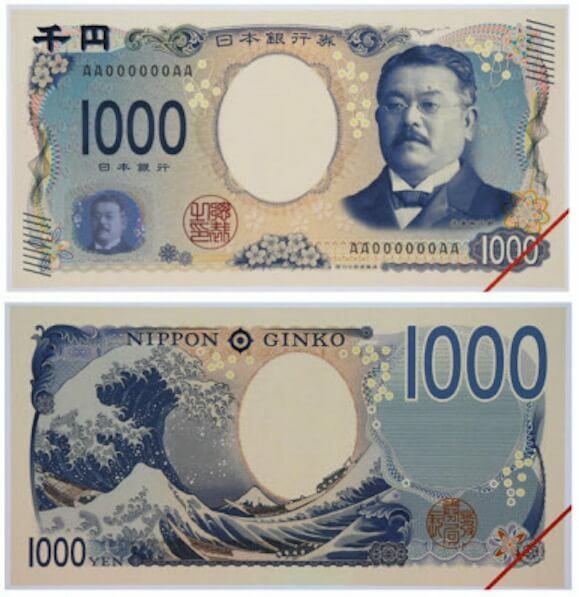 The portrait of the new ¥1,000 bill will be Shibasaburo Kitasato (1853-1931), a bacteriologist who helped craft the foundation for modern medical science in Japan. He successfully cultured the tetanus bacillus, and established the serum treatment for the first time in the entire world. He also discovered plague bacillus. The backside of the bill is famous Ukiyoe; Thirty-six Views of Mount Fuji. 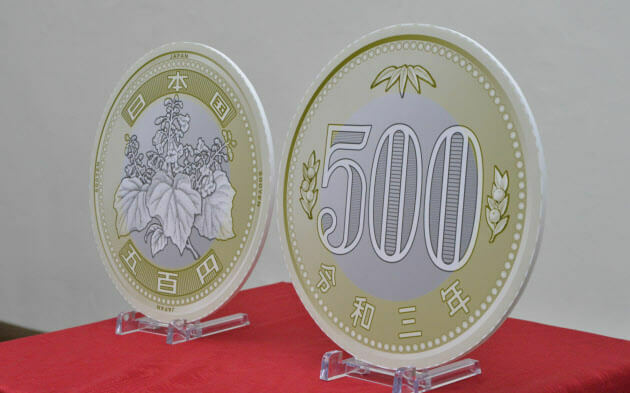 3D hologram portraits will also adopted on the new bills, making them the first bank notes in the world to incorporate this technology to prevent forgery.